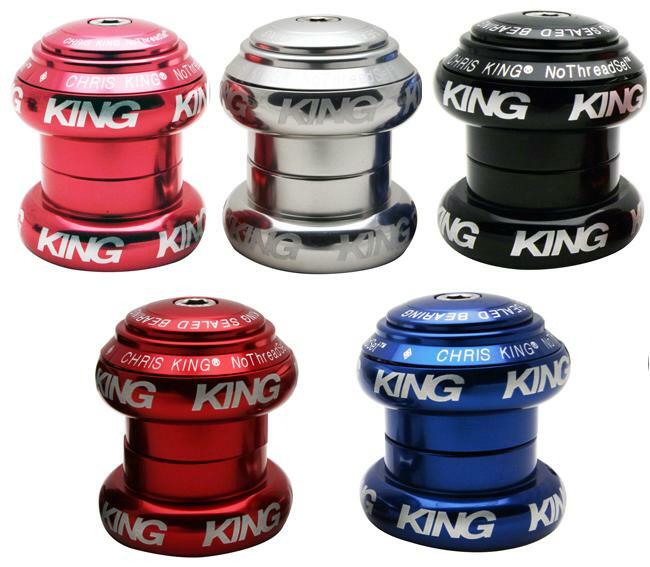 Chris King Precision Components was one of the first bicycle component manufacturers to offer a threadless headset. The modular design of the headset Chris developed in 1976 served as a platform for him to transform the concept of threadless into one of the most iconic pieces in the cycling universe. 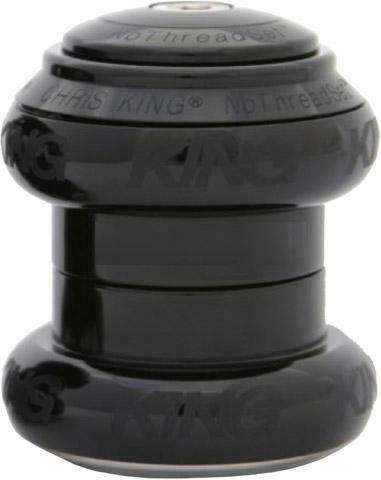 The Chris King NoThreadSet is simple yet without limitation. It is equally appropriate on road or mountain bikes. It has been ridden to mountain bike world titles in both endurance and gravity disciplines and has crossed the finish line under yellow at the Tour de France. The NoThreadSet features aluminum cups, bearing cap, and stemcap built around our renowned stainless steel sealed bearings. Each NoThreadSet includes a stainless steel baseplate and our custom starnut with bolt. Six colors are available here at Cyclocrossworld. Chris King sealed bearing headsets now feature the Sotto Voce logo mark in all ten available colors. We believe this subtle logo style better complements a quality bicycle. For those who desire the classic King style, black headsets are available with either a Bright Silver King logo or Sotto Voce style King logo. -Sotto Voce (sot-toh voh-che) is an Italian term used in music to denote a dramatic lowering of the tone. It literally means under voice but can be translated as soft voice.